We are so proud to have been named one of The National Geographic Unique Lodges of the World, now part of a small collection of global sustainable hotels and lodges that provide travellers with enriching, authentic, and inspiring guest experiences. National Geographic chooses its ‘Unique Lodges of the World’ carefully. Each selected inn, lodge, or resort celebrates its local culture and wildlife and encourages guests to engage with their environment. 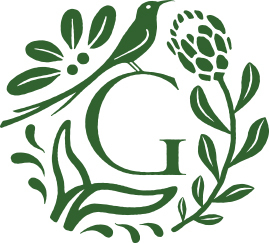 “We share and appreciate the values and high quality standards of National Geographic” said Michael Lutzeyer, part-owner and founder of Grootbos Private Nature Reserve. “We believe that by forming this partnership, we will reach the audiences that would appreciate what we have to offer and enable us to continue preserving this region’s unique and incredible biodiversity." National Geographic deployed experts to each site to evaluate operations, meet staff at all levels, scrutinize the lodge’s impact on the local environment and community and ensure that these criteria were met. Grootbos Private Nature Reserve is proud to offer guests who book their stay through National Geographic Unique Lodges of the World a special “National Geographic Exclusive” experience, which includes an exclusive dinner under the stars in the enchanting Milkwood Forest boma..